Light Snow is ongoing and expected to begin accumulating this afternoon as a small disturbance moves through the Midwest. 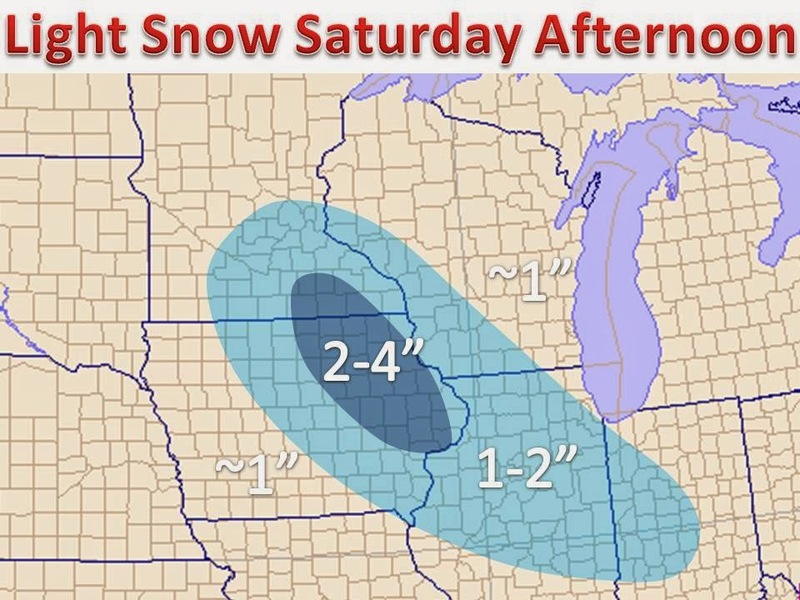 A small area of northeast Iowa will see an isolated 4" amount as the highest convergence will occur here. Light winds will accompany the snow, but will not factor in any more than that. The band of snow will weaken as it pushes east southeast throughout the afternoon. Another stronger storm can be expected for Monday, with winter weather advisory-like snows expected. Stay tuned!